Remote Tropical Fishing At It’s Finest! 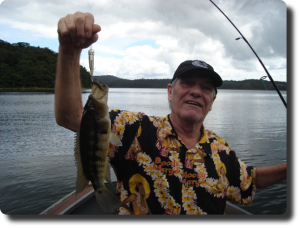 High in the mountains of Costa Rica is a secluded lake. Here on Lake Cotè the fishing is outstanding. Surrounded by jungle, much of which is reservation land, you can cast, troll, or fly fish for the local fish called the Guapote. A member of the cichlid family of fish it is also referred to as a Rainbow Bass. Your guide will take you out on the lake and show you where to drop a line. Within minutes you’ll be reeling in a Guapote or one of the other varieties of fish found in Lake Cotè.